Craigwood is seeking an exceptional clinician to join our team dedicated to improving the mental health of children, youth and families in the London-Middlesex area. Our programs are committed to an approach that is strength-focused, family based, community oriented, and highly flexible and responsive to client needs. Come and be a member of our dynamic team. As a member of the Family & Community Support Team, you will provide a range of therapeutic interventions in a variety of settings. You will develop and implement treatment goals and intervention strategies in partnership with families and youth. You will complete psychosocial assessments, offer individual, group and family interventions, provide clinical expertise and training/development opportunities for staff, and may take a rotation in our community walk-in clinics and in-home services. You will provide a clinical and case consultation to your co-workers, as required. You are knowledgeable in Evidence Informed interventions in Children’s Mental Health and Youth Justice Sector, as well as applicable legislation. In addition to assessment skills, you possess strong collaborative, communication, interpersonal and problem-solving skills. You have experience with individual, family and group modalities and treatment plan coordination. A Masters level degree in social work, family & marital counselling, psychology or a related discipline and experience in a multidisciplinary treatment setting, working with youth and their families with complex needs is required. Demonstrated time management, organization, oral and written communication skills and computer literacy with Microsoft Office applications are essential. The successful candidate must be a registered member of an applicable Ontario regulatory college. Oral and written proficiency in both official languages is an asset. 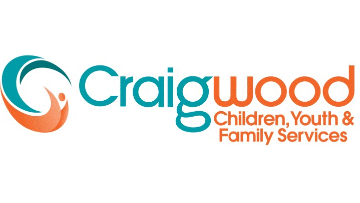 Craigwood values equity and diversity in our workforce and welcomes applicants who represent the diverse identities of the children, youth and families we serve. We provide a competitive salary and benefit package. The successful candidate is required to have current First Aid/CPR, a valid driver’s license and access to a vehicle for work use. Interested candidates are invited to submit their application including a complete resume of qualifications, experience, and the names of three work-related references by Friday January 18, 2019.